Below is a photo of Hart's Department Store from the 1950s. 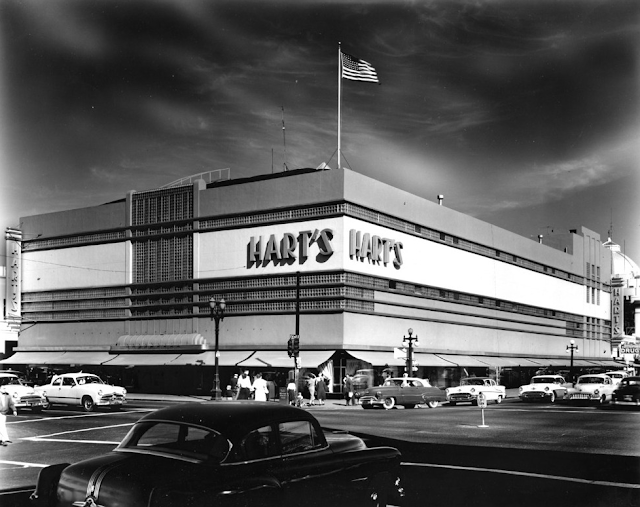 It was one of the last department stores to shut down, closing its doors for the last time in 1968 after a 102 year history in Downtown San Jose. You can also see the Basilica poking its head in the background of the photo. Love this vintage photos! Do we have right to print and frame in wall? The photo is copyright J.L. Ordaz., original photographer Arnold Del Carlo.